Nature and community in harmony. 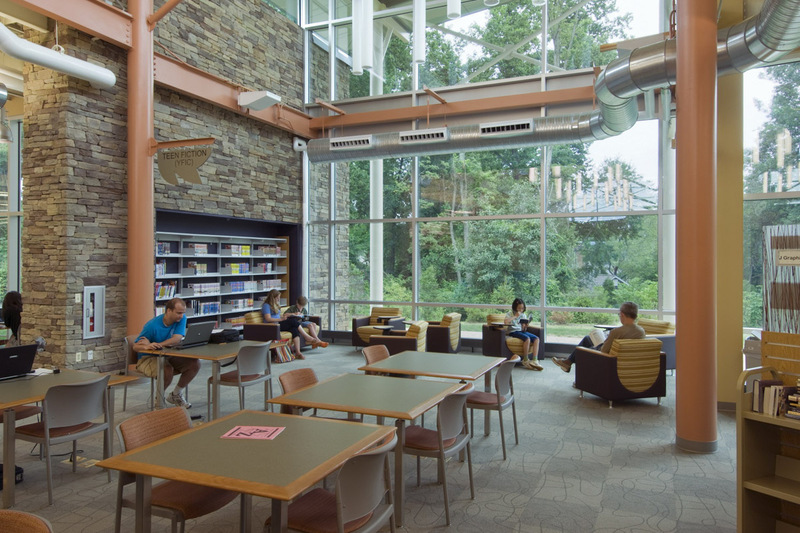 Creating a seamless transition from outside to in, the new Burke Centre Library reflects the importance of nature to the way we interact with knowledge. 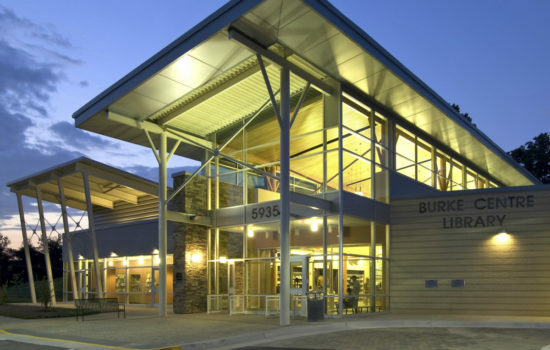 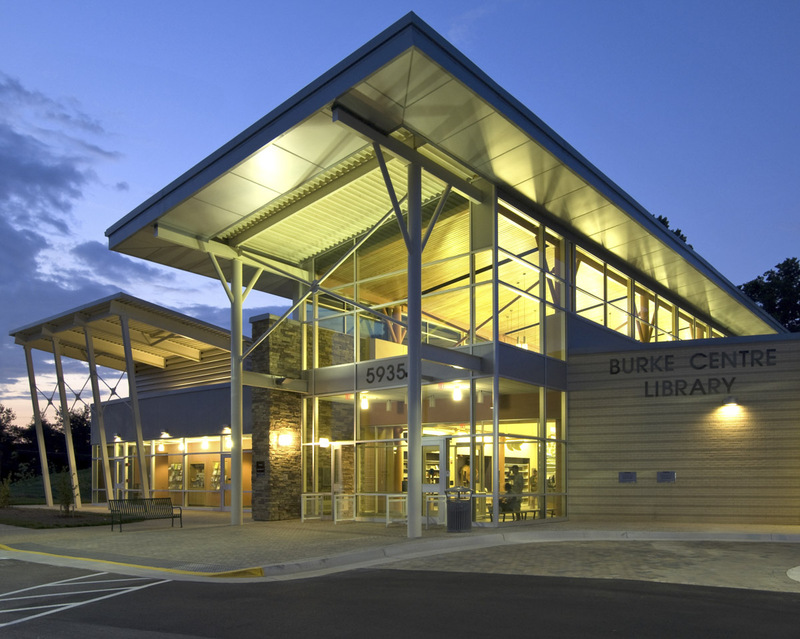 Virginia’s first LEED Certified library, Burke Centre sets the standard for sustainability and environmental stewardship in the community. 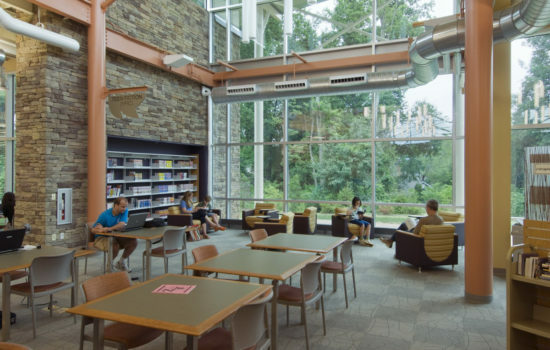 Sustainable site strategies include north-facing glass windows to harvest natural daylight, recycled and reclaimed materials, and healthy interior air quality. 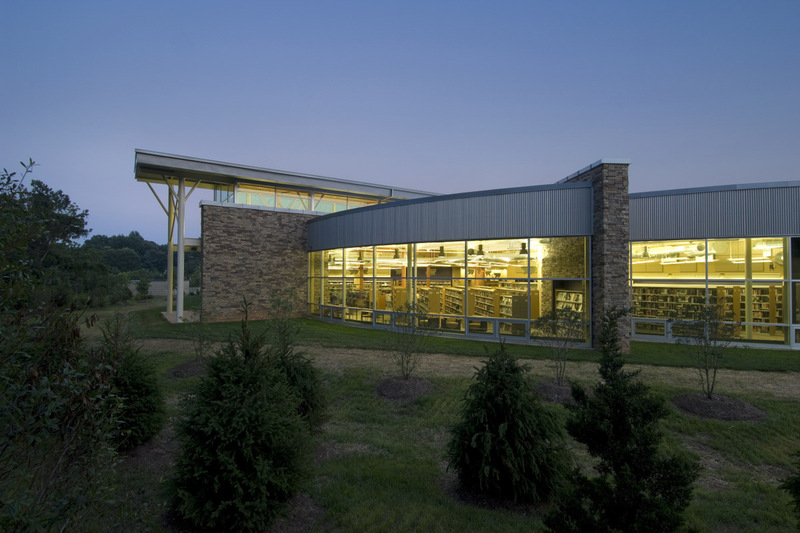 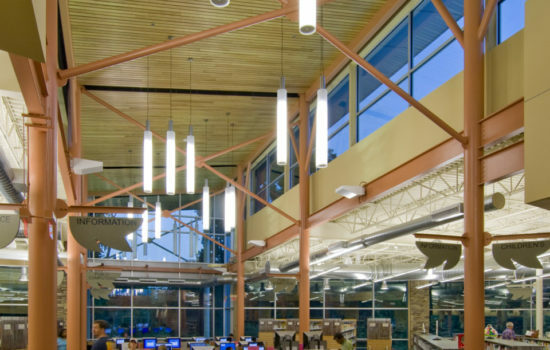 In addition to sustainable elements, the library also incorporates the wood of a massive, dying oak tree that used to live on the site in furniture throughout the building. 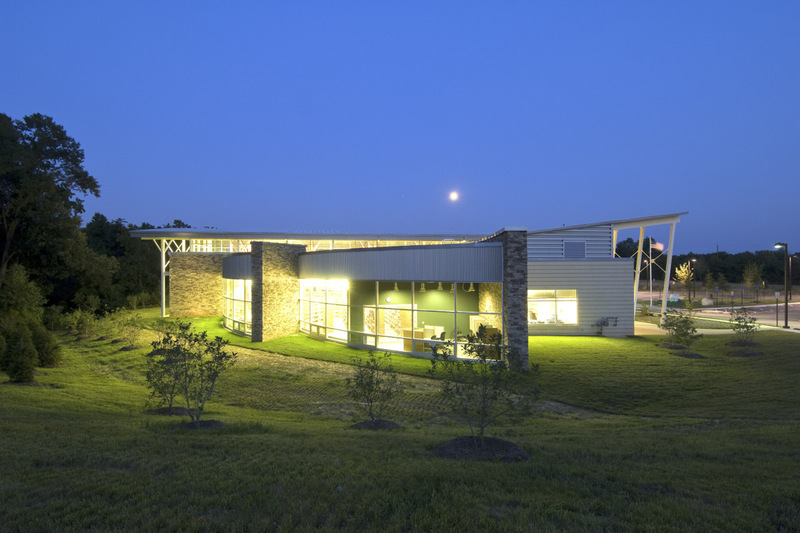 The placement of the building on the site was critical to further connecting the facility to nature. The library was placed far from the noisy intersection but in a highly visible spot where it nestles into the forest edge. 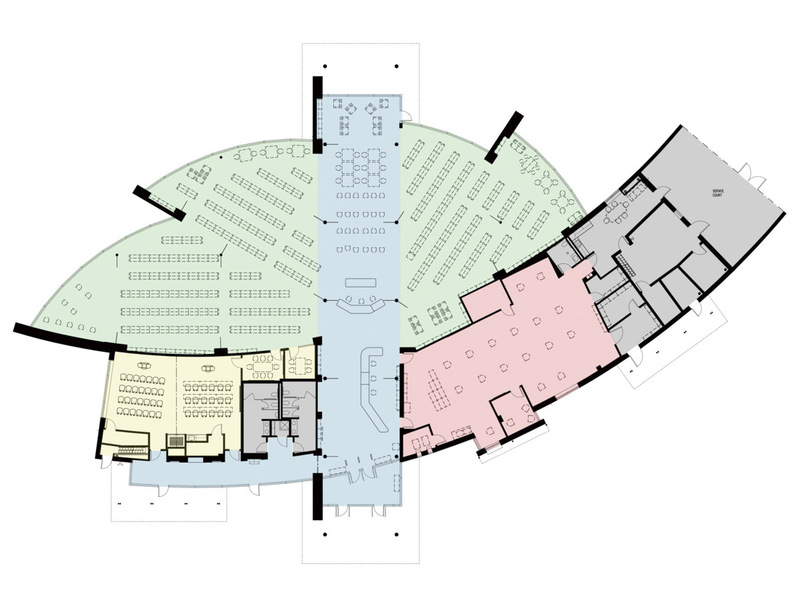 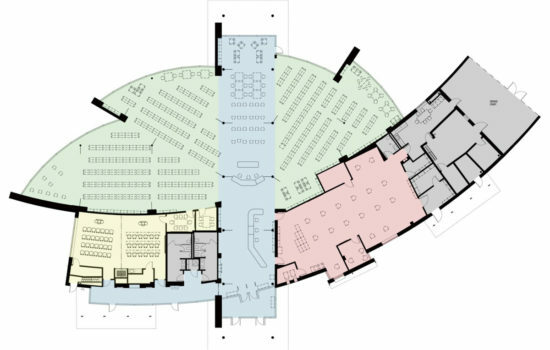 The meeting spaces, restrooms, lobby, staff work spaces, and mechanical areas are wrapped in curving masonry forms that conform to existing site topography. 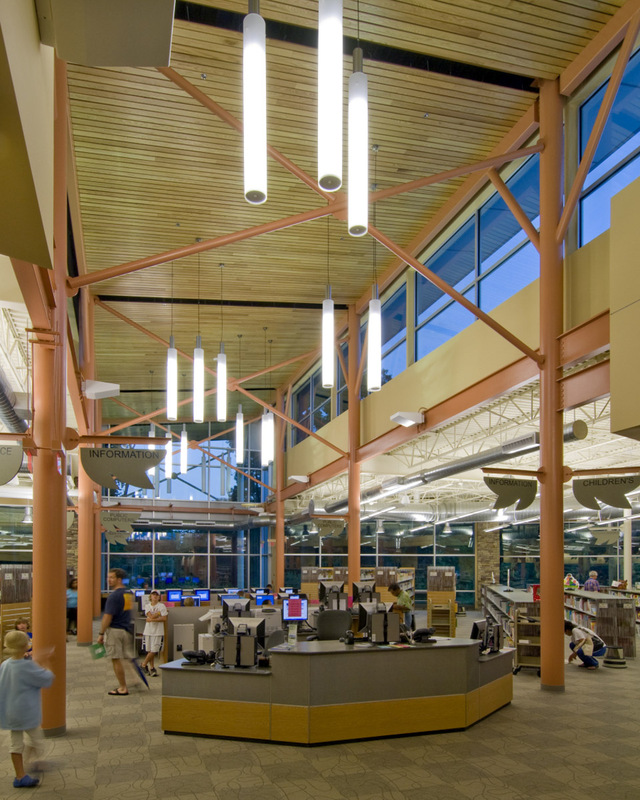 A tall, light-filled central circulation spine breaks through the curvilinear wall forms, drawing patrons into the library space. 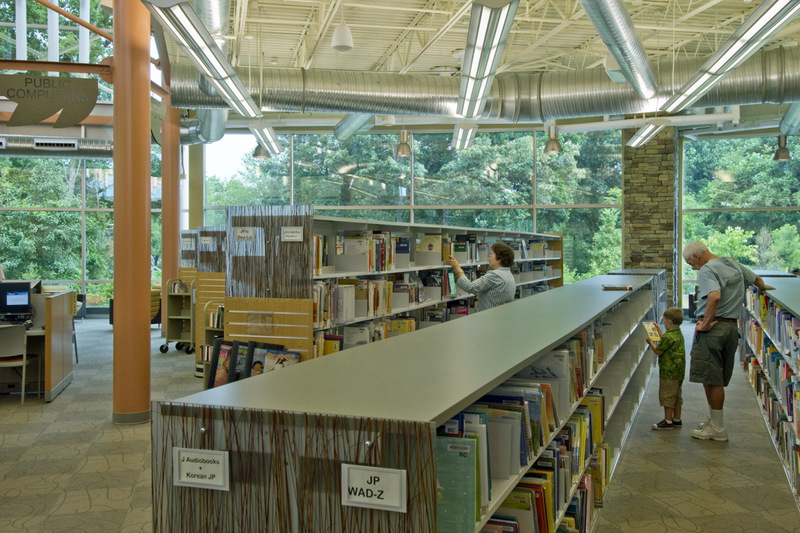 Clerestory windows along the edge of the central circulation spine allow daylight to project deep into the literature stacks. 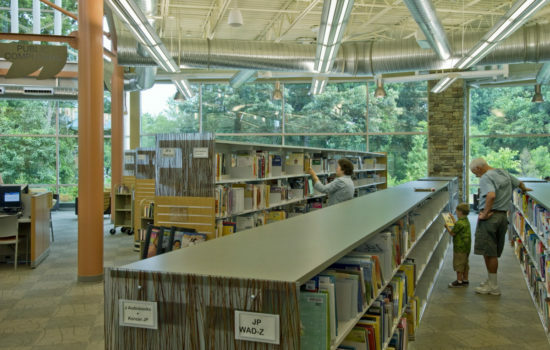 Book stacks are organized radially to enhance clear circulation paths and allow for framed views to the deciduous trees. 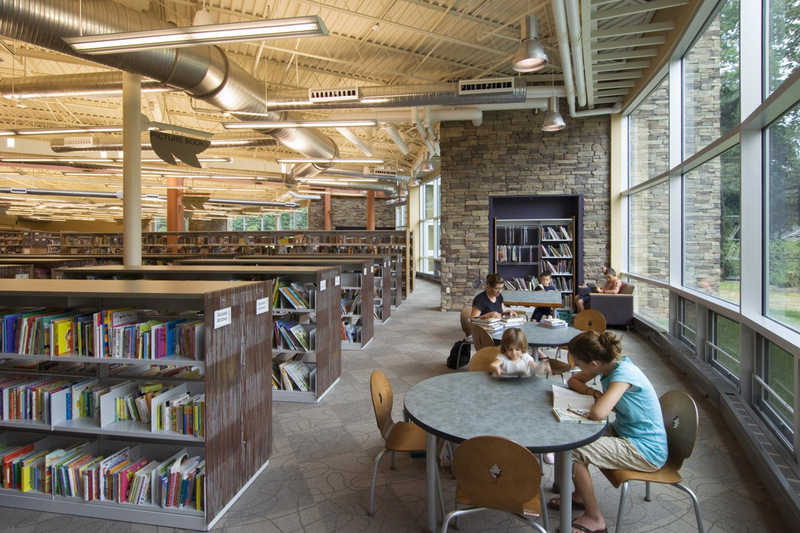 Radial stone hearth walls reinforce the northern views and provide individualized seating areas.